Join Energy Queen for a wonderful day of yoga and hiking at Mt. Tammany. Meet Romy & friends in Lawrenceville to carpool and drive to the Mt. Tammany trail head, or meet us at the Parking Lot. From there, we will do a yoga warm up and begin the steeply uphill hike to a fantastic overlook of the Delaware Water Gap with great views of the surrounding area and Mt. Minsi across the way. We will be doing the the loop is 3.5 miles. This loop is rocky, steep, short in length, but strenuous due to steepness. The return trail is less steep but still very rocky and includes amazing views and a water fall. We will take the Blue trail down and gather for a final stretch before heading home. There will be plenty of option for beginner hikers to take their time, or do an easier hike to the waterfall. We will eat lunch on top, meditate and connect with nature and one another. What to wear and bring: Sturdy hiking boots or shoes, layers, sunscreen, hat. Bring your lunch & snack to share if you like. Forest medicine is an emerging field and Forest Bathing is a proven method to boost the immune system, improve sleep and overall well-being. Wear comfortable shoes to hike in, dress for the weather, and bring water. The hike will go on rain or shine. UNPLUG! UNWIND! CONNECT! Yoga & Hiking Weekend Retreat / SOLD OUT!!! Join Romy, Jim & John for an amazing yoga and hiking adventure weekend. Come enjoy the natural beauty of Bear Mountain State Park, yoga, delicious food and old and new friends! Enjoy yoga and meditation practice with time sprinkled in for self reflection and conversation. Choose a gentle or a more strenuous guided hike with great views of the Bear Mountain Harriman State Park New York area and immerse yourself in the elements. Enjoy delicious healthy food and celebrate Cinco de Mayo. Have ample time to take in the scenic and historic Bear Mt and the Storm King Art Center or relax in our beautiful home with a book. Day begins with walking meditation and yoga practice followed by healthy energizing breakfast. Grab your lunch and choose a moderate or challenging hike. End the day with plenty of time left for restorative yoga to stretch your muscles and delicious dinner. Lots of time to hang out, relax and connect with yourself and others. Bear Mountain State Park is in New York and is about 90 Minutes from Lawrenceville. Friday May 3 - Optional Hike - Gentle Yoga & Dinner - Arrive anytime after 1pm. Saturday May 4- Meditation/Yoga, Breakfast, Hike, Restorative Yoga & Dinner. Sunday May 5- Meditation/Yoga, Breakfast & Easy Short Hike & Departure. SOLD OUT - Email Romy to be placed on the waiting list! Accommodations- Charming country home with single beds, bathrooms and bedrooms that sleep 2 people and 1 quad. You only need to bring your clothes, hiking shoes or boots, your favorite book and your sense of adventure. Carpooling or ride available. CONSCIOUS TOOLS TO MANAGE YOUR ENERGY AND LEAD YOUR LIFE! Registration Required- Bring a friend! Women of Color Yoga & Hiking Retreat - SOLD OUT - Please contact Romy to be placed on the waiting list. Bring your mother, sister, friend to this lovely low-key all women of Color retreat. Come enjoy quality time at Mohican Outdoor center in the beauty of Fall! Fun, easy or challenging hike along the Appalachian trail or a walking meditation. Sunday Oct. 21 - Meditation, Yoga, Breakfast & Optional Short Hike & Other Activities & Departure. Investment: $275.00 before September 25. $300 after Sept.25, if space available. Payment Plan available. I also accept VENMO or CASH App. $275 By Check or Cash: Make checks payable to: Romy Yoga- 15 Hillsdale Road, Lawrenceville, NJ 08648 . Venmo or Cash App. The retreat will take place rain or shine and registration fee is non-fundable after September 15, but is transferable providing a replacement is found. Fall or harvest time makes for a natural New Year! Are you feeling the way you wanted to feeling 2018? Inspired by our pilot hike last fall we are presenting a series of 6 "Force of Nature" hikes, partnering with RomYoga to host hiking, forest bathing, and meditation on open space in the Hopewell Valley! Yogi, life coach, and wellness expert Romy Toussaint will lead a series of 2-mile wellness hikes for women and girls. Each hike will include a guided meditation and forest bathing experience in one of the following locations: Mount Rose Preserve, Baldpate Mountain, Fiddler’s Creek Preserve, Thompson Preserve and a New Preserve! Women and girls able to hike a 2-mile route are encouraged to register! 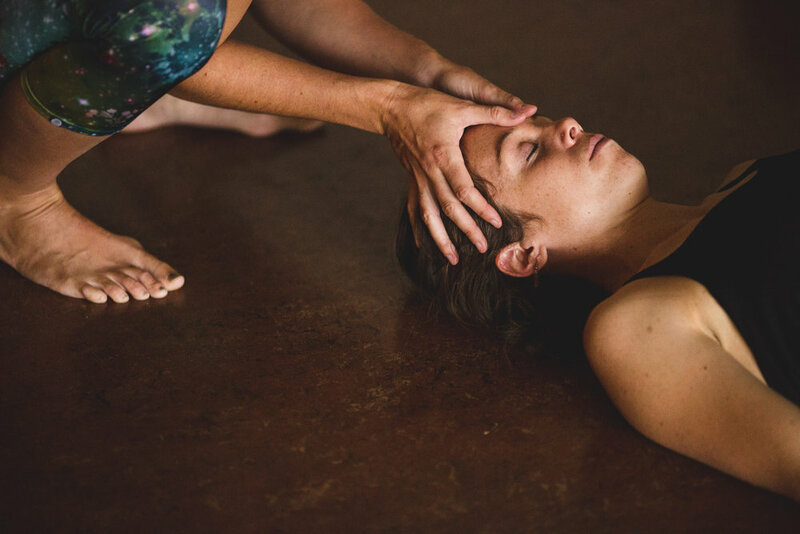 During the Restorassage workshop, you will receive gentle hands-on massage and stretches to encourage the release of tension and to promote deep relaxation while resting in relaxing restorative yoga poses. By blending Shiatsu stretches, which offer meridian stimulation, gentle massage techniques and yoga, you will feel the full effects of total-body integration. This two-hour class is limited to a 4:1 student/teacher ratio to maximize the hands-on benefits of this session. Focus on how we life in accordance to the three Disciplines of Swadharma: physical, mental, spiritual. We will meet daily to practice a specific set of asanas that will become our personal practice for this intensive. Depending on the weather, we will take the practice outside. We will meditate, sweat, chant. We will renew our intentions for 2018 and for life. Join Romy to restart 2018 and solidify your path for the rest of the year. Join Romy and Susan Friday, 6/1 at 7 p.m. - 8:30 p.m., to praise the Divine Love and union which penetrates all things. "Advent" is from the Latin word adventus which signifies "coming." Advent is a season of spiritual preparation, reflection, cheer, and anticipation of the Nativity. Let’s use our yoga practice to create and maintain a sense of peace that really should define this season of gratitude, hope and rebirth. Join us for a restorative practice with gentle asana (postures), pranayama (breathing), relaxation, reflection, singing, prayer and meditation, incorporating the advent themes of hope, peace, love and joy. 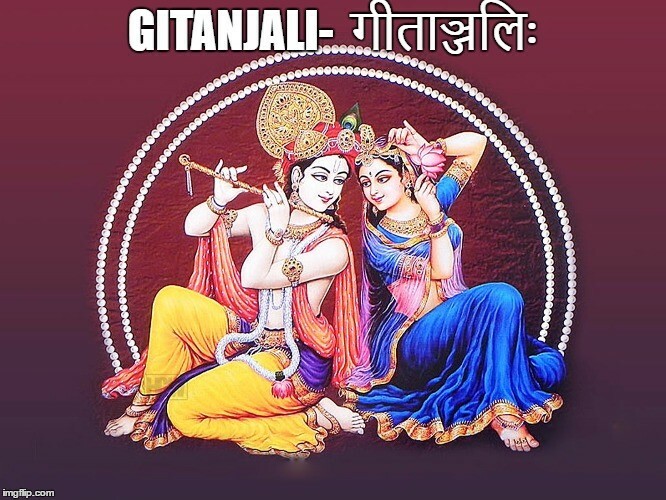 Take some time to prepare your body, mind and heart for the celebration as we incorporate the yogic principle of “Santosha” (contentment) and “Tapas” (self discipline) in our practice. *Proceeds will go to the Angel Tree Program of Prison Fellowship believes that no life is beyond the reach of God's power. Through partnership with the local church and other nonprofit organizations, we work together to meet the spiritual, physical, and personal needs of prisoners and their families. Fall into this yoga intensive where we will focus on the Four A's. What are some quick tools that will allow you to show up, take responsibility and live from a place of presence? Come explore with Romy and dive deep into time-tested yogic principles and disciplines that will help you to be grounded in the present. $150 after Nov. 1 for all! UNPLUG! UNWIND! CONNECT & SOAR TO NEW HEIGHTS WEEKEND RETREAT with Romy Yoga & Complete Health Yoga! Yoga & Hiking in Elements on the Appalachian Trail! Are you up for a good hike? Want to challenge yourself? How are you affected by elements inside and outside? Come learn about the 5 major elements of nature and how they work in your; enjoy the fresh air and majestic views of the Appalachian Trail, and surround yourself with like minded people! Day begins with walking meditation and yoga practice followed by healthy energizing breakfast. Grab your lunch and choose a moderate or challenging hike. End the day with plenty of time left for restorative yoga to stretch your muscles and delicious dinner. Lots of time to hang out, relax and connect with yourself and others. Friday Oct. 27- Optional Hike - Gentle Yoga & Dinner - Arrive anytime after 1pm. Saturday Oct. 28- Meditation/Yoga, Breakfast, Hike, Restorative Yoga & Dinner. Sunday Oct. 29- Meditation/Yoga, Breakfast & Easy Short Hike & Departure. Investment: $250.00 - REGISTRATION REQUIRED BY September 20! $300 After September 20, if space available. Join Romy for a Saturday morning Hike @ Baldpate. We will meet at 9:00 am at the Fiddler's Creek Road parking lot and hike up the Blue Trail, meditate by the pond and continue the hike to the summit. Located about 2 hours south of Cancun, in the Riviera Maya, Tulum is truly a piece of paradise tucked away between the clear blue ocean and the emerald green tropical forests. We spent 6 days/5 nights at Amansala, with yoga classes, lounging on semi-private beaches, biking, kayaking, snorkeling and trips to the Mayan ruins. Shoes are optional at this beachside eco-chic hotel. Stone and wood rooms created a quiet and relaxing atmosphere. Beginning and ending the day with a quiet stroll on the white sandy beaches, this yoga vacation exceeded expectations.